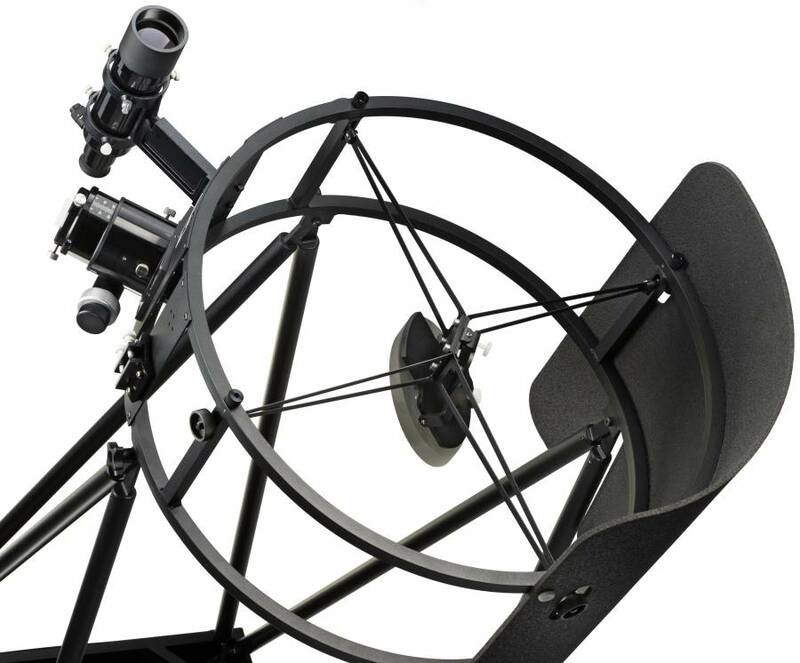 No telescope type has influenced amateur astronomy as radically as the dobsonian telescope. 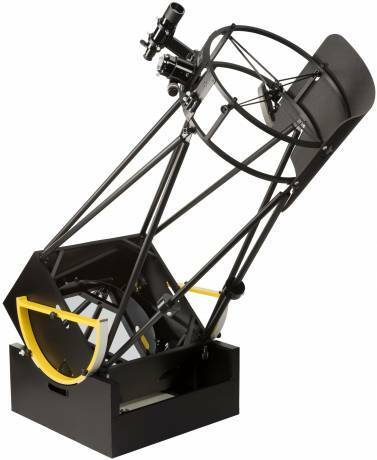 Before the introduction of this telescope type by John Dobson the vast majority of amateur telescopes were small inadequate refractors on shaky mounts - just good enough to show the polar regions on mars or the rings of Saturn. Bigger telescopes, like the Schmidt-Cassegrain telescopes, were restricted to the relatively small group of amateurs that could afford them.The brilliant combination of simple - but effective - mechanics and the largest aperture available led to a worldwide triumph of this concept. 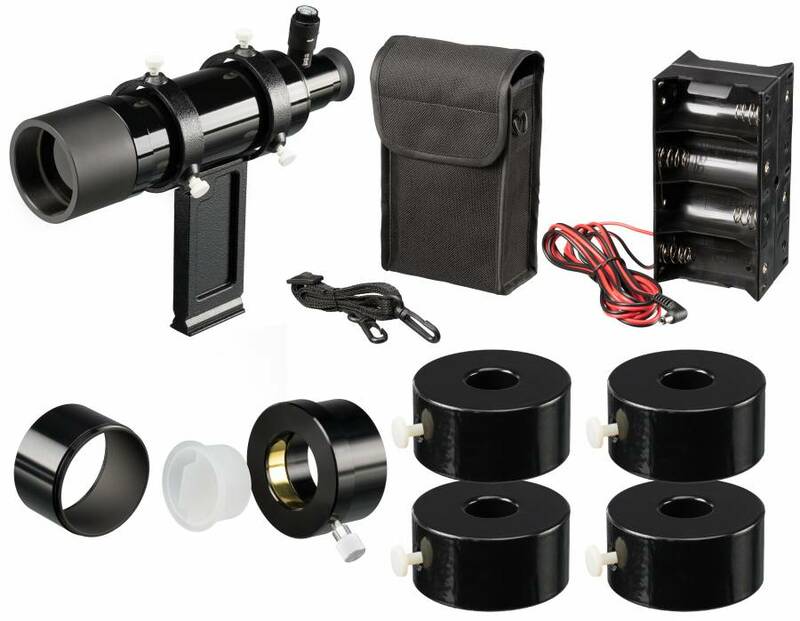 No other telescope type offers you so much light for your money as a good dobson. We have taken the motto held together by gravity and driven by yoghurt power and offer a modern version of the classic - designed by amateur astronomers for amateur astronomers. 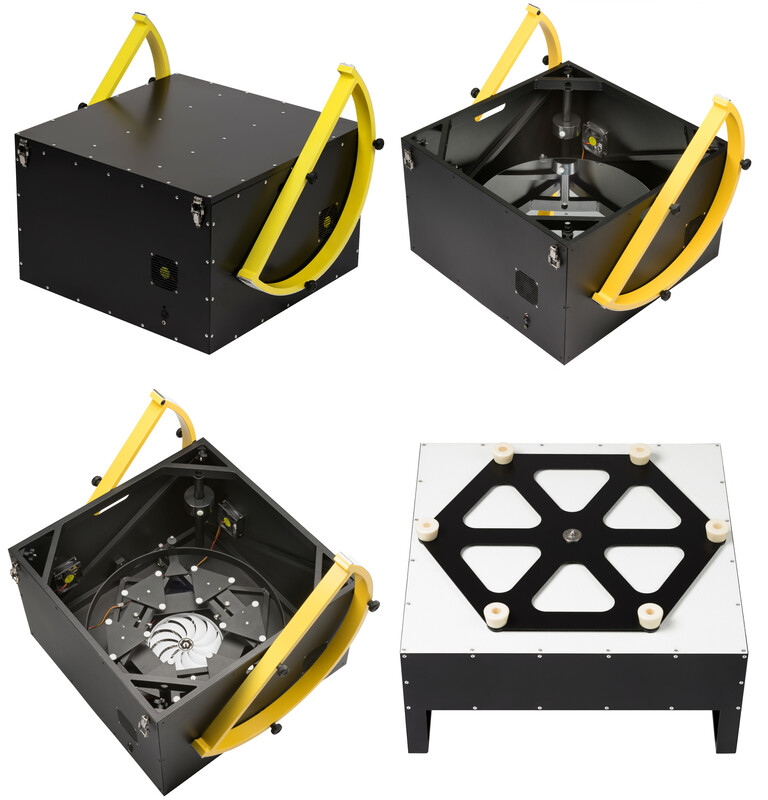 Despite its large aperture the telescope can be transported easily even in small cars and is assembled within minutes without tools. The construction was optimized for maximum rigidity with a minimum of mass. 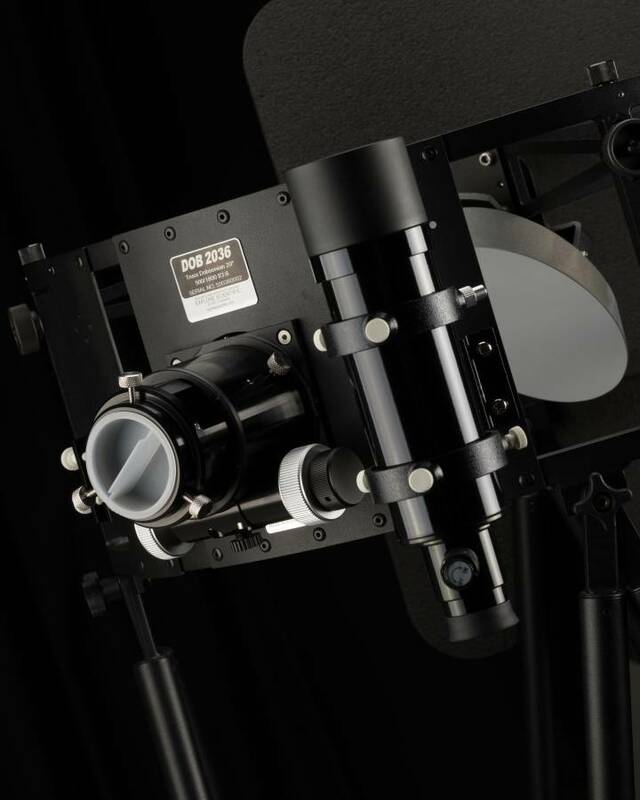 The combination of big altitude wheels and a optimized aluminium-sandwich construction allows for small movements even at high magnifications. The focus position is already positioned to accept our coma-corrector (part No. 0510330) . 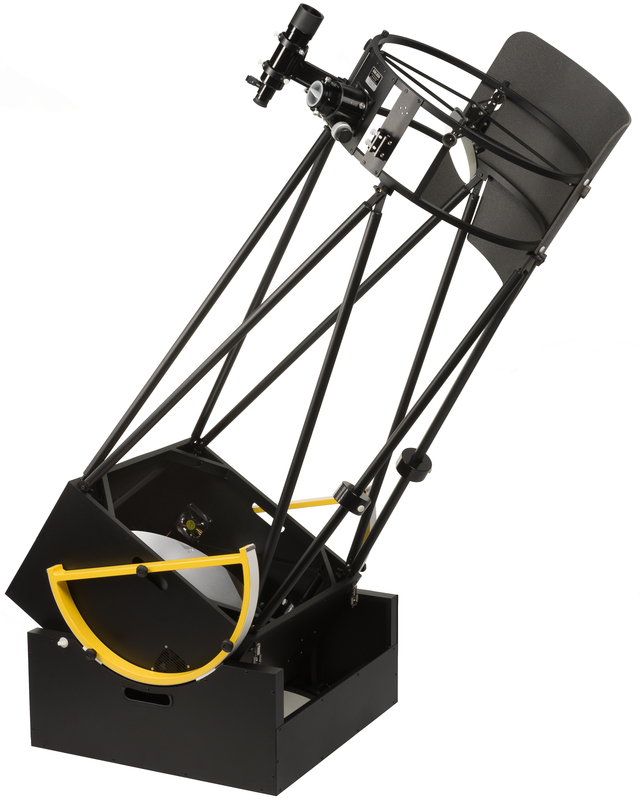 The ideal workhorse for the deep-sky enthusiast. A telescope with 500mm aperture gathers more than 5100-times more light than the naked eye. Details on planetary surfaces stand out even to unexperienced observers, and countless deep-sky objects show details and some color. Bright globular clusters are resolved down to the core and the view of the lunar terminator will provide a unforgettable experience. The fast 20’’ f3.6 main mirror as well as the large 120mm secondary mirror are made of high quality quartz material, so the cooling time is reduced to a minimum and the Dobson is quickly ready for use. Every main mirror is delivered with an individual optical test certificate, which guarantees the highest capacity. A laser engraved center mark of the main mirror allows easy adjustment. The optical surface has a high-quality aluminum silvering with 94% reflectivity and an extremely resistant quartz protection layer. The mirror overcomes frequently occurring dew fogging and cleanups without any damages and guarantees a long service life. A complete redesign of this Dobson was necessary to ensure the significantly increased requirements to stiffness and load bearing capacity of the optical components. All connections of the tube structure were made in the TIG welding process and no rivets and screws were used. This has made it possible for us to produce this 20’’ light weight Dobson so unbelievably stiff in spite of the low weight - a noticeably good quality which is searching for its match. The production of almost all mechanical components is carried out by our partners in Hungary and the final assembly of the optics and subsequent quality control takes place in Rhede, Germany. The equipment details of the smaller Dobson models, which have been popular for years, have been taken over and even extended considerably. First of all, of course, the very good decomposability and transportability should be mentioned. Set-up and dismantling can be carried out without tools. The main and secondary mirrors are adjustable during the observation and only two adjusting screws have to be moved. Thanks to the use of precision ball-heads in the main mirror cell and a precision hinge for secondary mirror suppport, the adjustment is absolutely easy and guarantees excellent stability. All connecting parts of the tube trusses now consist of CNC machined aluminum and are attached by stainless steel dowel screws. The secondary mirror can now also be adjusted by the adjusting screws in the direction of the optical axis. The tried and tested 2.5’’ HEXAFOC focuser with 1:10 fine adjustment has been used for years - this allows vignetting-free observation despite the fast aperture ratio. A second 40° displaced installed mounting plate with a viewfinder shoe allows the rotation of the tube top in combination with a favorable position of the viewfinder tube or the mounting of an additional TELRAD viewfinder. The 6 supporting feet underneath the rockerbox offer a perfect stability and guarantee a smooth tracking in azimuth. Four smaller fans are installed in the side of the mirror box as well as a large fan is installed under the main mirror. This allows an even quicker adaptation to the ambient temperature and reduces the tube seeing (boundary layer removal). The lateral altitude wheels can now be stowed comfortably in the foam layers of the mirror box. Last but not least another gimmick: The optical tube and the mirror cell are designed to use also on heavy equatorial mounts.